Today marks a big day in our household! For the last 13 years my wife has been on the very hard path of becoming a medical doctor. Today I’m very happy to admit that the path is “over” (it’s never really over). Today was the last day of her medical residency!!! 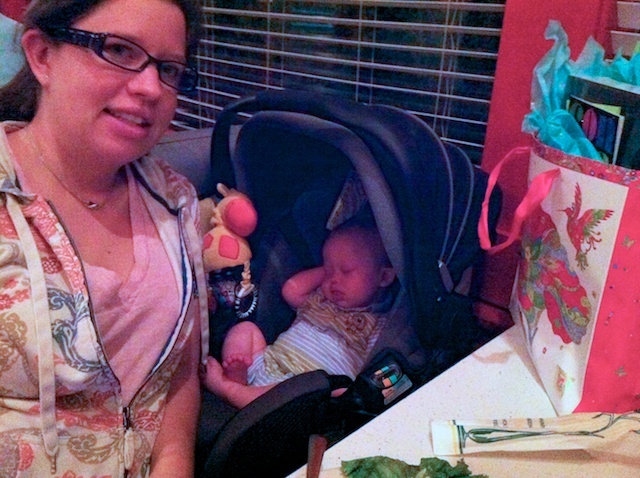 In the video when she is hugging on baby Noah that’s us out at dinner celebrating! It’s been a long road for my wife (and our family) and I can never express in a blog post how proud I am of her. I have literally seen her pour blood, sweat, and tears into the process of achieving her dream of becoming a doctor. On top of that, she has been the most amazing mom, wife, and friend ever. 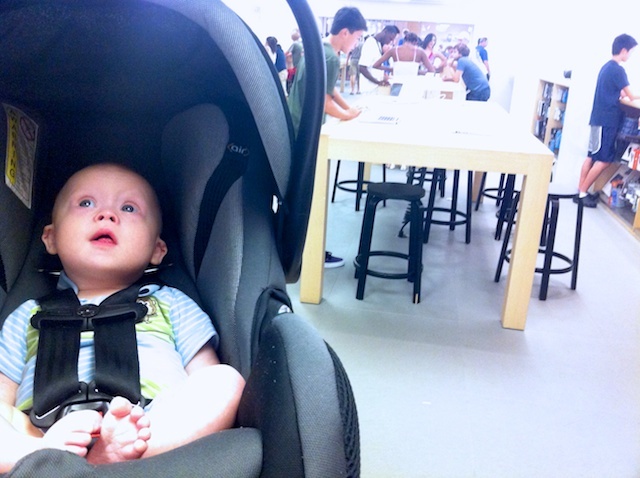 Picking out a gift for mommy at the Apple store! In our house we work hard. But the flip side of that is that we play even harder! 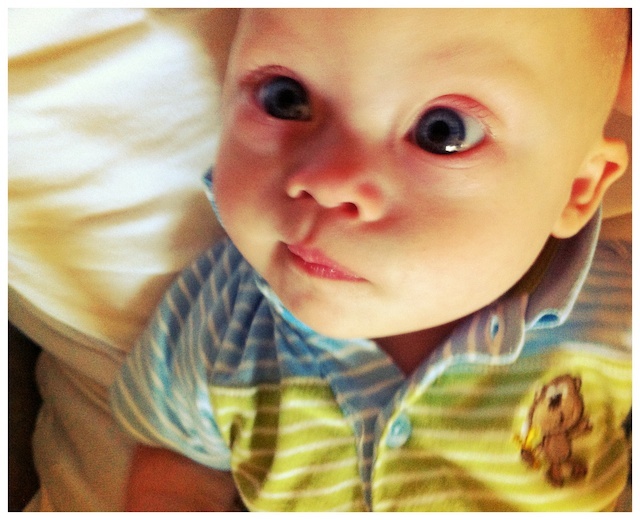 This is Noah's pre-fun face! We love it! 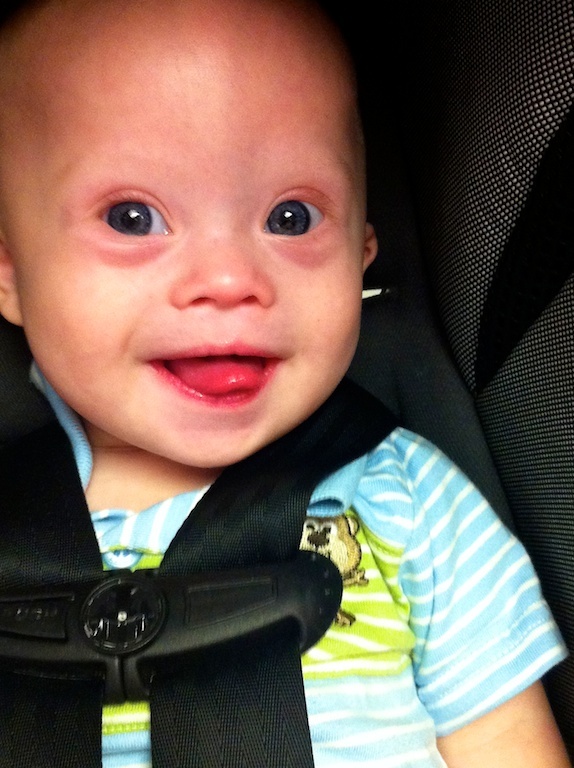 He is always having fun! We tend to hold our schedules (and our plans) pretty loosely around here. When we get back Abbie will be starting as the attending Doctor in the Emergency room. It’s a little scary being “in charge” but she is going to do GREAT! Baby Noah and I are so proud of her! Oh, and it will be super cool to have her around the house much more. She will be coming from working 70 hours a week, so 14 days a month! So all of the hard work really does have some pretty nice payoffs! How are you spending your last few weeks of the summer? Anything fun left on your calendar..?? Congratulations Abbie on your HUGE success!! And Rick, I’m sure your support is what made her strive this hard and far! Kudo’s to the both of you for such an amazing job!